If you are interested in any of the Artistic Expression or Creative Writing Events, please go to their pages by using the links provided. Additional information and links to entry forms are found on each page. 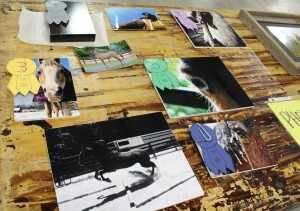 Craft Horse Contest – Exhibit your craft skills by creating horse items for your horse or yourself. This opportunity allows the youth to explore and develop economical alternatives for themselves and their horse. • Let's Get Creative Camp! !